When installing rc11 on a 5 year old Supermicro server with two 1TB drives in sw RAID1 everything looks good during the install phase. The array comes up properly and the installation proceeds normally. 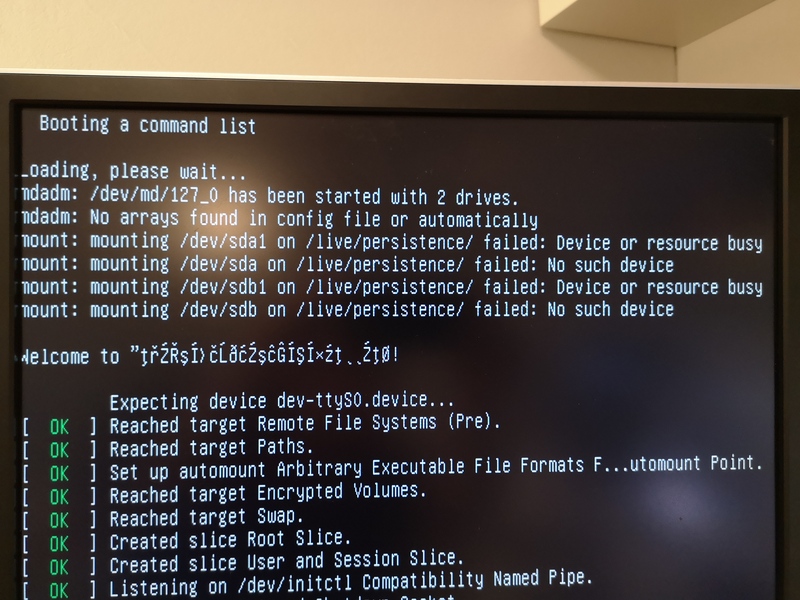 However when rebooting fom the drives mdadm does not recognize the array and the installation is booted with 'sda1' mounted as the primary disk. When looking at 'cat /proc/mdstat' the array is recognized but only with one member (sdb1). If I reboot back from the ISO again the array is properly mounted and mdstat looks good with both sda1 and sdb1 as members. This is unfortunately not reproducible on vmware. Please ask and I will provide any output required from the server. danhusan created this object in space S1 VyOS Public. danhusan added a project: VyOS 1.2 Crux ( VyOS 1.2.0-rc11). If you run for a while, does the array stay in that “auto-read-only” state? From some cursory searches, this happens until the array hits its first write, especially since the output does mention the other disk. I’m wondering if this happens with slower disk or something. I did manage to find a bug here when reusing an existing array that was built under BIOS and using EFI, but that’s probably unrelated. I can let it sit forever, the status wont change as the array is missing one disk. Notice how after (auto read only) raid1 is only says sdb1 (sda1 is missing). Does the problem occur on a virtual environment e.g. ESXi, too? I am not able to reproduce it in vmware workstation. These users might have the same issue. I noticed one of the symptoms of having the system is in this state is that the config is lost between reboots. 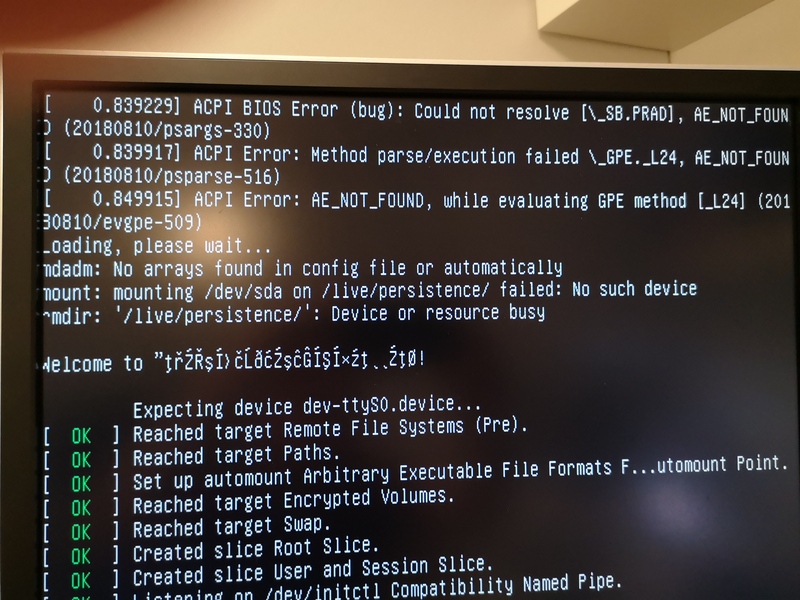 Can you try hitting "e" on grub when it pops up, and drop acpi=off on the line like pictured? Then just hit CNTL-x to boot. It might not be the problem here, but it's worth a try as a troubleshooting step. Spot on, booting with acpi=off makes it come up properly and configurations are actually saved. @kroy you are clearly on a roll today, rootdelay=10 also did the trick. 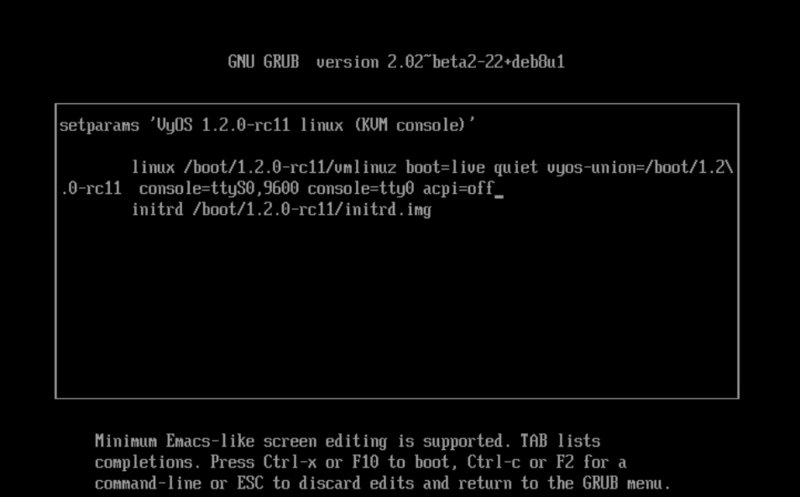 And FYI, just to make sure that something wasn't triggered by hanging out in GRUB. rootdelay=2 works, so just a small pause is needed on my system at least. instead of differentiating between raid and non raid installations - why not always wait 5 seconds for the discs to settle? As this is only done once on startup this is IMHO better then a special case. That works too, I was hesitant proposing a global change when we currently only have 1 verified user experiencing the issue. I propose to proceed with a global change. Special case handling is always harder to test and the impact is only 5 seconds max in startup time - who cares on a 24/7 active device which is rarely rebootet? Added new pull requests, built and tested, working fine. c-po edited projects, added VyOS 1.2 Crux (VyOS 1.2.0-EPA3); removed VyOS 1.2 Crux (VyOS 1.2.0-EPA2). @c-po https://github.com/vyos/vyos-build/pull/35 is also needed. Without it upgrades (install image ...) will fail.